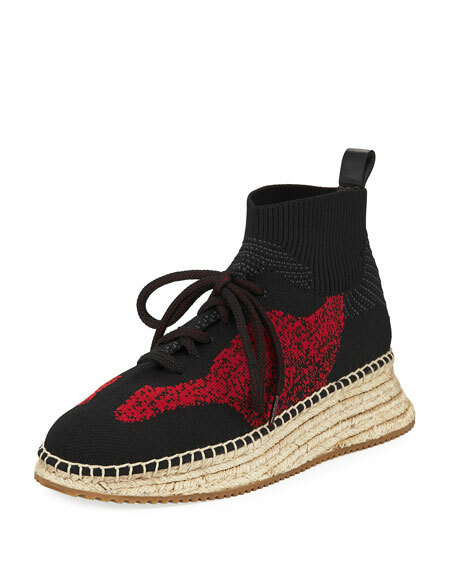 Alexander Wang patterned high-top knit sneaker. 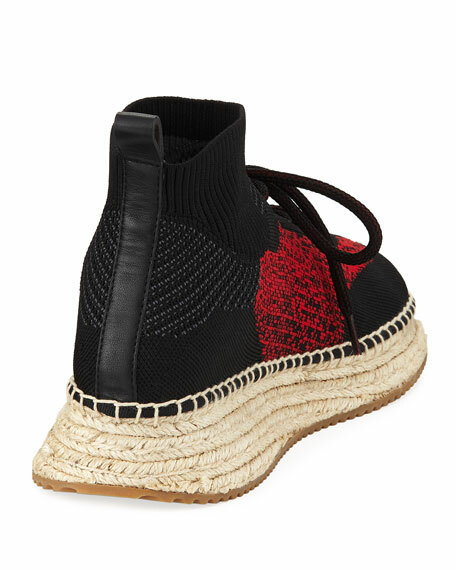 1" braided-jute wedge heel with platform. "Dakota" is made in Spain. 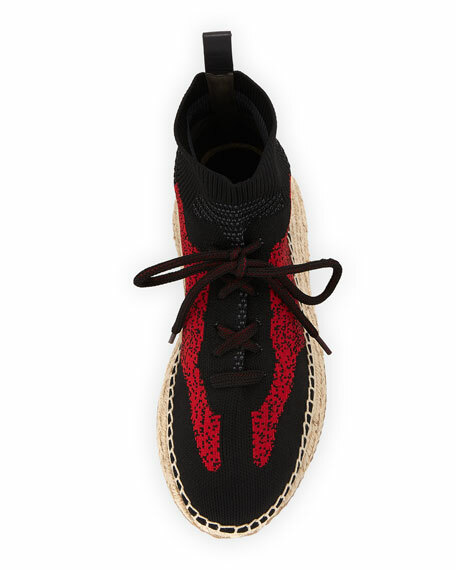 For in-store inquiries, use sku #2457747.